There are others like you. We’ve met tens of thousands of them. People who share your passion for harnessing the potential of modern marketing and marketing technologies. People who implement best practices… and occasionally color outside the lines to get results. 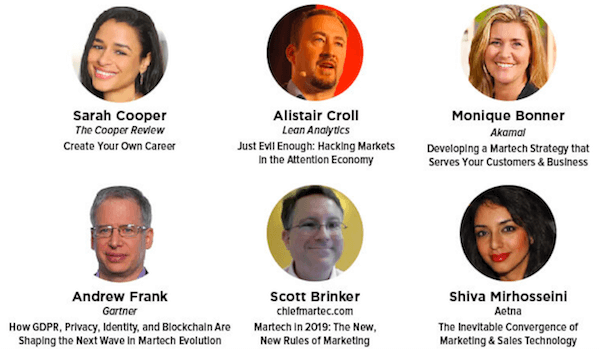 Discover, learn and connect with them at MarTech® October 1-3 in Boston. 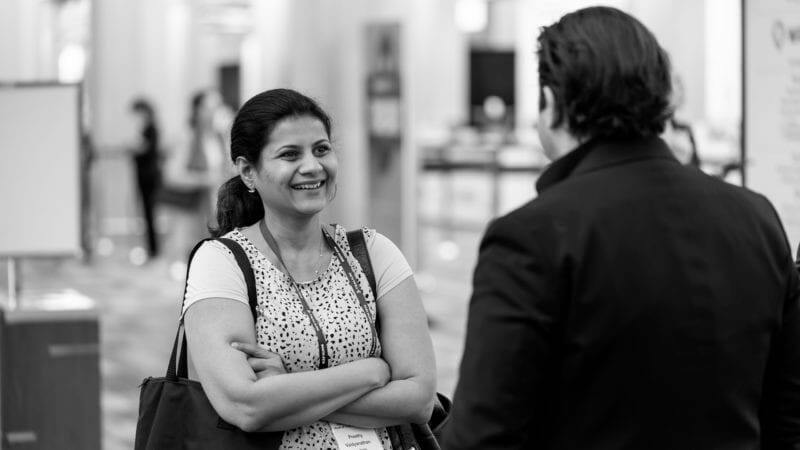 MarTech delivers horizon-expanding keynotes, strategic and practical sessions and peer-to-peer networking in a friendly and comfortable environment. 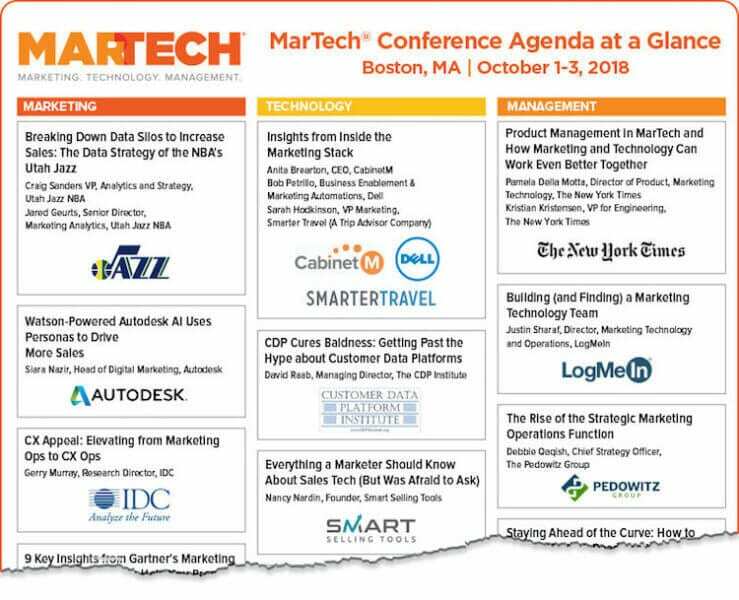 The MarTech program features more than 60 sessions, keynotes and presentations organized around four topics: Marketing, Technology, Management and Solutions. Stick with a single track for the day or mix and match sessions across tracks to craft your own personalized agenda. See the agenda, see who’s speaking, and get all the details you need to plan your time with us. I’m especially excited about our keynote speakers. They’ll share insights and ideas about hacking the attention economy, navigating your career, developing a martech strategy and more. Speed networking: Meet and mingle in bite-sized bursts. It’s an awesome ice-breaker. Opening reception: Keep the conversations going with drinks and hors-d’oeuvres. You’ll connect with your peers, speakers, exhibitors and sponsors. Expo Hall reception: Come for the cocktails, stay for free martech solution demos from dozens of vendors. MarTech Alpha rates expire July 28 (next week!) … so now is your chance to save big. Securing your All Access pass today means you’ll lock in our very best rates, a total of $450 off on-site prices! If you’re more interested in meeting vendors and networking, pick up an Expo+ pass for just $59. You’ll enjoy unlimited access to our bustling Expo Hall, full-length Solution track sessions, Discover MarTech theater sessions, all of the speaker presentations and more. Book by July 28 and save $20! If you’re planning to join us in Boston, don’t delay — register now! Psst… MarTech is an amazing team-building experience! Groups of three or more enjoy special discounts of up to 20% off. Or enhance your MarTech experience with a half-day intensive workshop! The post Connect with passionate marketers — rates increase next week! appeared first on Marketing Land.